Pancreas and digestive system. 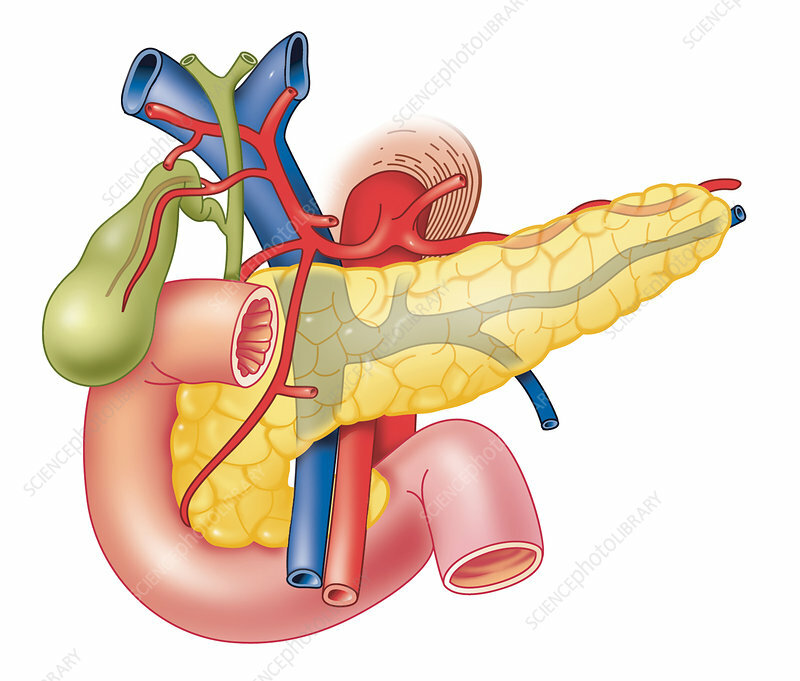 Artwork showing the pancreas (yellow) and the gallbladder (green), and the ducts leading from these organs into the duodenum (pink), the first part of the small intestine. Also shown are the major arteries (red) and veins (blue) supplying these organs. The pancreas and gall bladder both release or secrete fluids to aid in digestion. Bile from liver, stored in and released from the gall bladder, aids in the digestion of fats. The secretions from the pancreas contains enzymes in an alkaline solution.